Today, kids have their own cellphones at an age when their parents could only have dreamed of them. This is not necessarily a bad thing, but it can be worrisome. 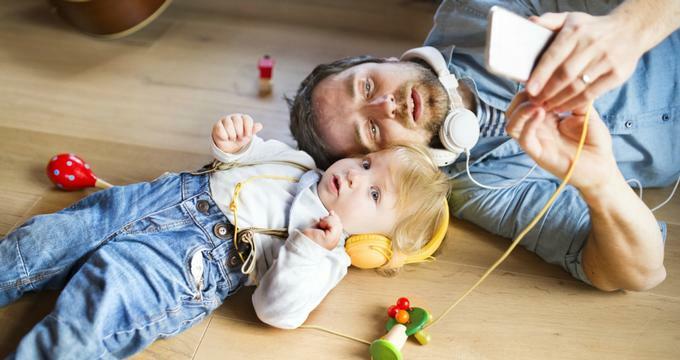 Not only are smartphones nowadays expensive (and kids really want the latest ones due to social pressure), these devices can be problematic in the hands of children. However, parents tend to allow kids to have their own phones because they need to be able to keep in touch with them, as it’s important to always have a means of contacting your loved ones, no matter how old they are. KidiBuzz by VTech is a smartphone that was developed especially for children, meaning it has everything that a child would need in a phone plus more. The KidiBuzz also has a 180-degree rotating camera that they can use to take selfies and record videos, and just because it’s a device for children does not mean that the quality of the camera is poor. In addition, the KidiBuzz offers features that are specifically tailored for kids. One of these is Learning Lodge, which is an app that’s filled with all kinds of educational and engaging games fit for children. The phone also has its own app store, which allows you to download other games and useful apps that are just as fun and useful as Learning Lodge. These apps will help kids improve their spelling, math, science knowledge, and even problem-solving skills – something that VTech has always been known for. The KidiBuzz is also generally child-friendly because the smartphone will function without needing a service provider. This means they can’t randomly make phone calls, but they can send voice messages to their friends. They can also send text messages as well as photos, animated stickers, drawings, and more. The camera and voice recorders are easily accessible via the buttons on the top of their phone screens. All they need is a Wi-Fi connection via KidiConnect – an app that connects to other KidiConnect users. There is also a VTech KidiBuzz app that you can install on your phone. This will allow you to directly communicate with your children at home, even when you’re away. Think of it as a baby monitor, but for your children of all ages – you don’t need to speak to the babysitter anymore since you can directly call your kids on their KidiBuzz. The KidiBuzz allows children to access the internet just like any smartphone. However, the device comes with internet safety features to make internet surfing a kid-friendly experience. The browser is already programmed with a ton of kid-friendly sites, which they can browse for information or entertainment. They can also watch videos online. The content available is so vast that it can cater to the needs of children of different ages and interests. There are fun and educational stories as well as some games. In fact, some parents might even want to play some of the games that come with the device, giving them a chance to bond with their children. The device is aimed at kids between 4 and 9 years old, but it might appeal to some who are older. What’s so good about this setup is that much of the built-in content is already more than enough to keep your kids occupied. While there are lots of things you can download, the stuff in Learning Lodge is already a lot. We know how kids can be prone to accidents. And while they need to learn to be responsible enough to take care of their gadgets, the KidiBuzz helps them because the device already has a number of built-in durability features. It’s got a shatter-resistant screen and bumpers, so it doesn’t break easily. In fact, it’s a lot more durable than most smartphones out there. Make sure that you read the manual that comes with the KidiBuzz before handing it over to your child, which ensures that you know what to do with the device and you can easily teach your child how to use it themselves. While the device is durable, you must teach your kids to be responsible when using it. They should learn to treat it like any smartphone (i.e. they have to keep it safe and try not to drop or lose it). If anything, this is a good time for them to learn how to responsibly use a mobile device. Make sure to manage your parent’s profile. Check up on it from time to time and learn how to add or delete apps, just in case you need to. VTech has always created child-friendly devices, but this is a brand-new way of doing it. Having a smartphone meant especially for children can really help them have fun without their parents worrying about their safety and wellbeing. It’s important to remember that mobile gadgets have become more and more of a necessity for people of all ages, so you shouldn’t deny your kids the opportunity to use them. Thankfully, the KidiBuzz is the solution that parents have been looking for.